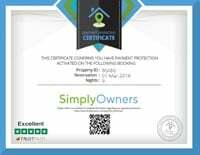 Simply Owners take exceptional care in vetting owners and validating properties so that we can be confident in providing holidaymakers with a Payment Protection Certificate. The Payment Protection Certificate entitles you to reimbursement of payments you have made to the owner in the highly unlikely event that the property booked did not exist or you were scammed out of your payment. 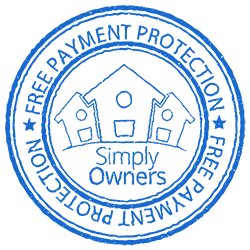 You must follow our advice on making the payment to the owners to qualify which requires you to only discuss payment arrangements on the phone number you obtain from our web-site and you must not communicate anything relating to payments by email.